Lots of fabulous bargains abound, including this one. 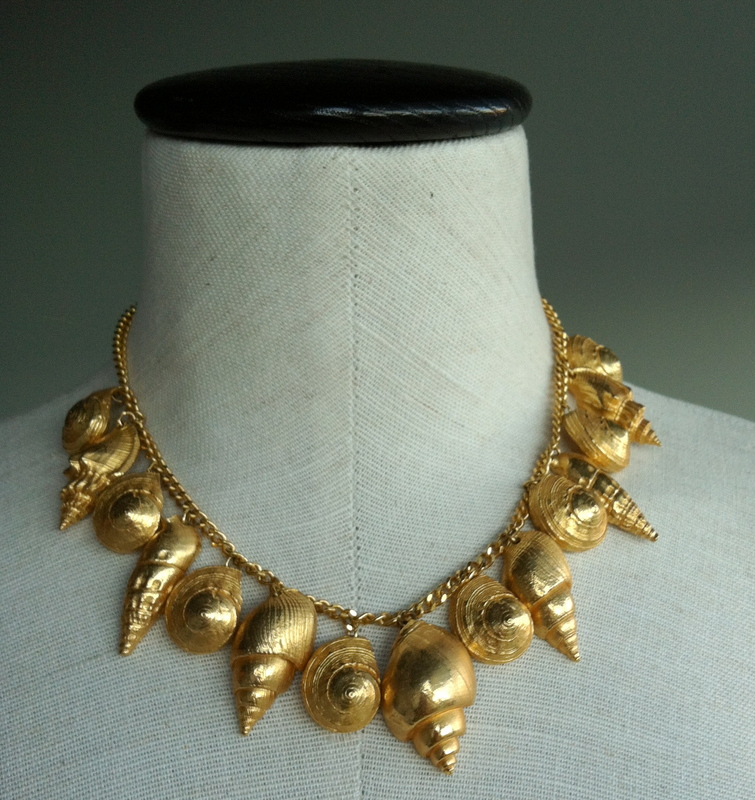 Gold Sea Shells necklace, $35. Deals for multiple purchases too … Whatever your budget, I’ll work with you. AND I can even create unique looks tailored for you. Let me know if there’s anything you’re looking for … and if you’ll be joining us! This entry was posted in Uncategorized on September 4, 2012 by pualana.